Being Italian, I find it funny to say that I cook more Latin recipes than anything else, but it’s true! I love the bright simple flavors of Latin cuisine and always find myself creating recipes with those flavors in mind. This week I made one of my family favorites—Cuban-style mojo marinated pork chops! 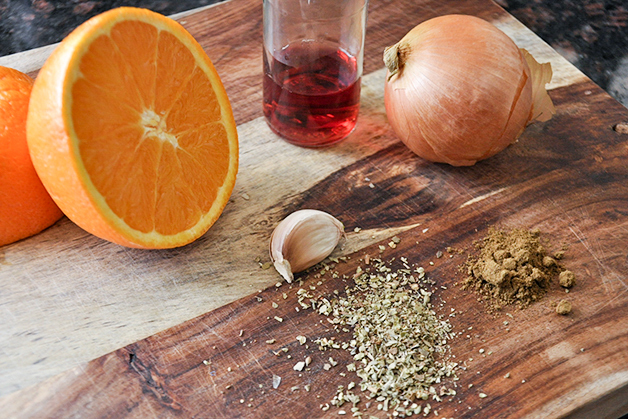 The marinade is super simple—in fact, you probably already have the ingredients on hand. 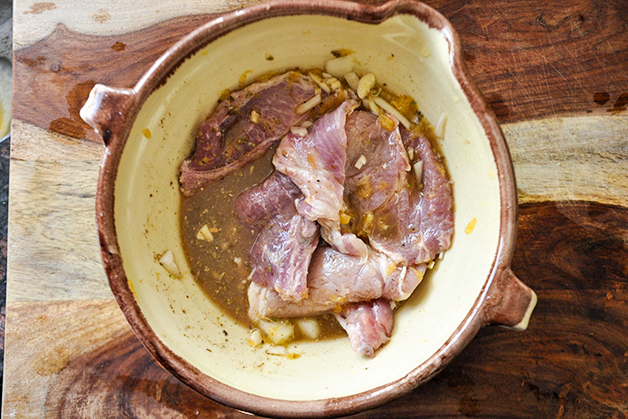 This isn’t a marinade that needs to sit overnight, especially if you are using thin-cut pork chops like I used here. 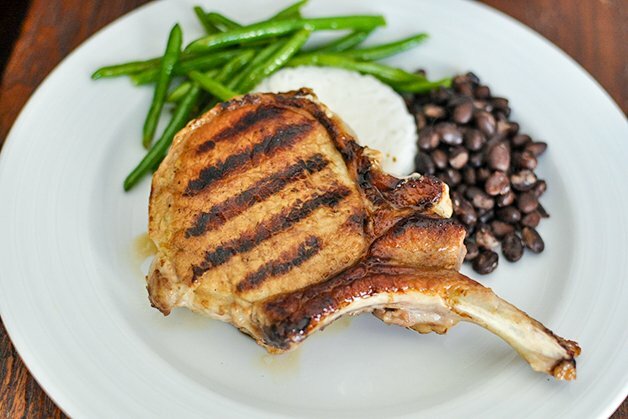 Just soak the chops for twenty minutes in this delicious Caribbean inspired mixture, grill ’em up, and serve alongside some white rice and your favorite steamed veggies, and you have yourself one quick and healthy recipe. Muy delicioso! Step 1: In a large bowl whisk together the first eight ingredients. 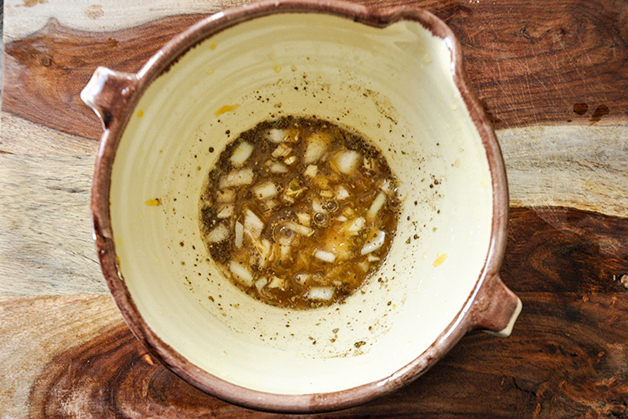 Add in pork chops, cover, and allow to marinate for 15–20 minutes in your fridge. Step 2: Heat oil in a large grill pan over medium heat. Grill pork chops for 3–4 minutes on the first side, flip, and finish cooking the opposite side, another 1–2 minutes. Serve hot alongside white rice and a fresh veggie.